LONDON - The British government has confirmed plans to privatize the country's 500-year-old Royal Mail this fall. Business Secretary Vince Cable said Thursday an initial public offering of a majority stake in the postal service was scheduled for the coming weeks. Officials say the expected stock sale will be open to members of the public as well as to larger institutional investors. The minimum investment will be set at 750 pounds ($1,224 Cdn) with Royal Mail employees getting a slice of the stock offering. Business minister Michael Fallon said the privatization is the "final step" toward modernizing the business and opening the door toward investment. He said there is "sufficient" interest from potential investors to justify the sale. Even as the announcement of the IPO was made, the Communications Workers Union was planning to ballot workers for possible strike action. The union is opposed to the stock plan because of fears of potential job losses. There are concerns the threat of industrial action may damp demand for the stock. But Britain's government is determined to move forward, describing the privatization as critical to the future of Royal Mail, which has seen its revenues shift more toward packages and away from the mail of the past. 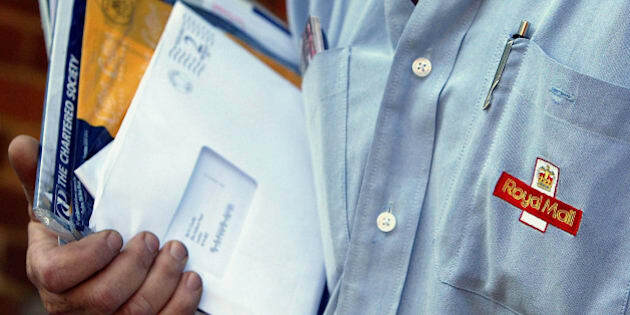 The privatization spells a major change for the long-established mail service. Its familiar red pillarboxes will be protected by law, but there are fears that the six-days-a-week delivery service Britons are accustomed to will be threatened by a drive to profitability. But tampering with a service so central to public life is also a delicate matter. Even the late Margaret Thatcher, who championed the sale of state-owned companies such as British Telecom and British Gas, backed away from privatizing Royal Mail during her tenure as prime minister back in the 1980s.